Investors Underground Review: A fantastic resource for every trader. Highly recommended! Here is my highly anticipated Investors Underground Review. Do you find day trading chat rooms reviews helpful? Have you tried the Investors Live dvd ? I have written many day trading chat rooms reviews. Usually these types of chat room are not really worth it – you cannot replicate day trade alerts. However, Investors Underground is a little different! They teach you the best strategies so that you don’t have to copy trades – you learn to make your own! Before I get started on this Investors Underground review, please check out my favorite tools and free swing trading course that I have used to make $50,000 trading stocks! I highly recommend that you read my review of the free swing trading online course (worth $1000!) for more details on how to download the course for free and to see if the trading strategies and chart patterns would work for you. Welcome to my Investors Underground Review! 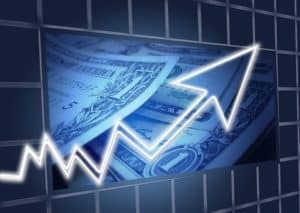 In this review, my goal is to inform you about my experience as a stock trader and subscriber to this trading chatroom, alerts service and the educational stock trading products that they offer. I have purchased and personally reviewed all of the material discussed in this Investors Underground review so that you can make a more informed decision before purchasing. 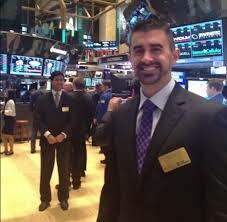 The Investors Underground stock trading community was founded by Nathan Michaud in 2008. According to Nathan Michaud, the vision was to create the biggest and best online stock trading community. Investors Live DVD is packed full of fantastic stock trading strategies! With thousands of members it is certainly the biggest chatroom that I have been a part of. The sheer the number of members is a testimony to the quality of the stock alerts – this is not a low-priced service (you get what you pay for!) and I was very surprised to find out how many people are members. Of all the day trading chat rooms reviews that I have written about – IU is special. The reasons for such a booming membership soon became clear – there is 11 chatroom moderators to help with alerts and education. 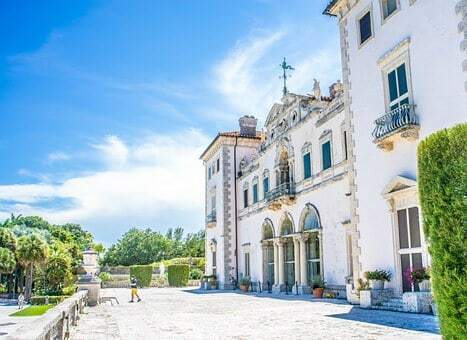 All of these people form a dream team of multi-millionaire stock traders that are very well-known in the online trading community! Nathan Michaud founded the service when he left the Profitly (founded by Timothy Sykes) community. He is an amazing stock trader that has over 10+ years of trading stocks. He is pretty active on twitter (@InvestorsLive) and many consider his twitter account to be a ‘must-follow’ in the world of online trading. Nathan Michaud is known for his uncanny ability to find momentum stocks that are exhausted or the trend is changing. He is fantastic at ‘wash out’ trading, where he accurately predicts and reads points of inflection and trades them with expert precision. Nathan is a world-class expert in technical analysis and has created some of the best stock trading DVDs (like Textbook Trading and Tandem Trader) on the subject (See these DVDs for more information). These are two of my favorite educational tools, and I am in the process of creating a whole new section of this website to review these DVDs and a bunch of other ones as well. Tandem Trader is a complete and comprehensive educational DVD that teaches you how to day trade stocks. 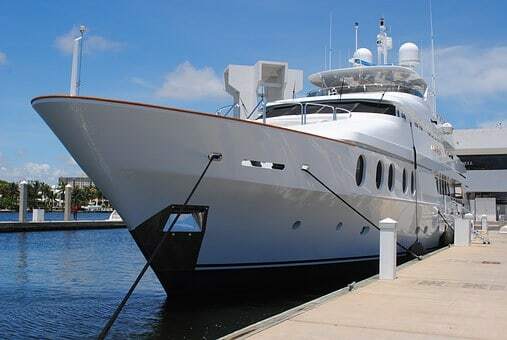 Tandem Trader is 12 hours long and goes through many different day trading charts and setups in great detail. The in-depth analysis of real trades is extremely helpful. Tandem Trader avoids the complexity that many other stock trading DVDs get into. Simple is better! Tandem Trader has 10 chapters that fully cover all the different aspects of trading. A truly awesome resource for new and experienced traders. Momentum Chatroom – this chatroom is open from 9am – 4pm every trading day. It is the most active trading chatroom on the site, with thousands of users discussing trades every day. Swing Trading Chatroom – similar to the momentum chatroom but the focus is on swing trades that are held for more than just 1 day. OTC Chatroom – This is the least popular chatroom on the Investor Underground site. These chatrooms are well moderated and professional. I love the group mentality and the huge amounts of trade ideas that I usually follow-up on with my own due diligence. The Investor Underground chatrooms actually replace most of my conventional stock screening tools! Disadvantages of the Investors Underground chat rooms: The large number of traders in the room is a good thing, however it took me a while to figure out who everybody was and which traders had the best ideas. Day trading chat rooms reviews! Investors Underground focuses mainly on day trading but they do alert some swing trades as well. 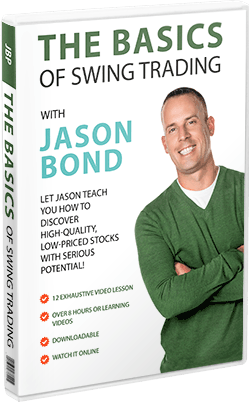 I love swing trading – it is far less stressful than ‘crack head’ day trading! The Investors Underground team have a couple of very highly related stock trading DVDs that you can purchase. Be sure to check them out if you want to learn some of the trading strategies that Nathan teaches. These DVDs are VERY highly rated in the stock trading community. You can check out all the independent reviews of them here. The other 11 moderators are amazingly talented traders. I have made as much money from trading and learning their ideas as I have from Nathan! 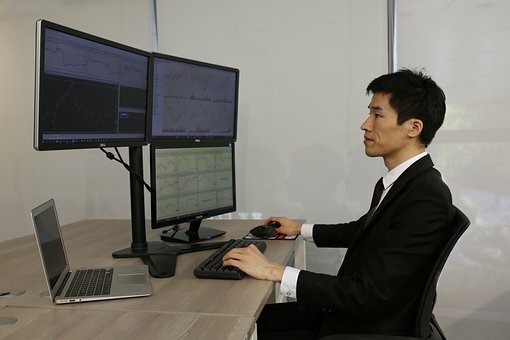 The moderators are listed on the website with very detailed biographies so that you can be assured that each member of the team has a strong background in trading stocks. I have tested and written many day trading chat rooms reviews. What sets Investors Underground apart is the quality of the education. The Investors Live dvd is particularly awesome! 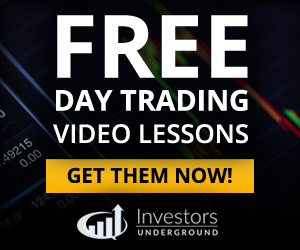 Video Lessons: Investors Underground members have unlimited access to an extensive bank of tutorial videos. An additional benefit for new members is free access to The Textbook Trader DVD (day trading course) and Tandem Trader. These DVDs are worth thousands of dollars and have consistently been voted as the best trading courses available! Check them out HERE. 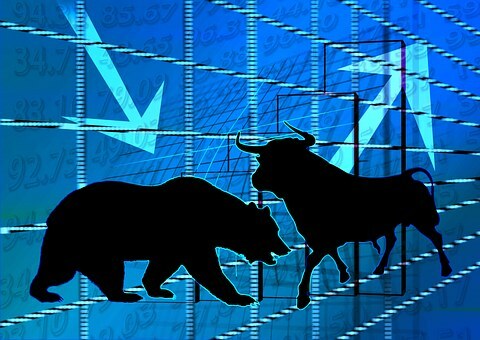 Stock Trading Webinars: Investors Underground usually hosts a webinar every week. These webinars are available to members and cover a wide range of trading topics, from low floats stocks to short selling. Nathan Michaud often hosts these webinars. Comparing Investors Underground vs Profitly for their educational alerts and day trading chat rooms is very difficult. The problem is that although Investors Underground teaches strategies that are easier to replicate, the day trading services offered by Tim Sykes cost a lot less money. So it is a bit like comparing apples and oranges when comparing Investors Underground vs Profitly. If you can’t decide between Investors Underground vs Profitly, then maybe it would be a good idea to test both of them for a month. Although this would be an expensive option, you really need to learn and embrace a strategy that resonates with you. I think that this service is one of the best out there. It is not the cheapest service, but also it is not the most expensive (Check out the different pricing plans HERE). There is no doubt that if you are dedicated and work hard, Investors Underground moderators and services will take your trading to the next level! I hope this Investors Underground review has been helpful and please feel free to ask me any questions about my experience trading with Investors Live/IU. I hope that you have enjoyed reading about my experience with Nathan Michaud and Investors Underground. Which service would you choose, Investors Underground vs Profitly? Do you find day trading chat rooms reviews helpful? Great chatroom for day trading! Highly recommended. We loved the Investors Underground Alerts and chatroom! Highly recommended!